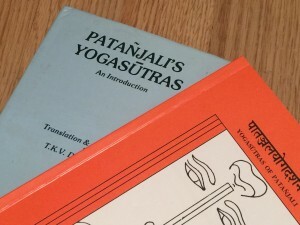 Patanjalis Yoga Sutra is considered to be the first and still most important text on yoga. One way of going deeper in understanding the philosophy of yoga is to explore Yoga Sutra in relationship to other yoga texts. During this series of seminars we will select a group of sutras and draw parallells to texts like Samkhya Karika, Hatha Yoga Pradipika and Bhagavad Gita. These seminars is held once a year in Helsinki, once a year in Tallinn and each time with new material. During these days we will chant the sutra-s that we are discussing and experience some of the practices that yoga has to offer; asana, pranayama and meditation. Hanna Staaff and Karina Freij from Yogaskolan in Sweden are teachers in the yogatradition of T Krishnamacharya and TKV Desikachar. They have practiced and studied yoga for more than 20 years and are full-time yoga teachers. Hanna and Karina are running yoga schools where they offer a broad spectrum of group classes as well as individual consultations. The last 15 years they have been offering teacher trainings as well as courses for further education in Sweden, Finland and Estonia. The course is held in Tallinn, Estonia. Seminar place will be announced later.